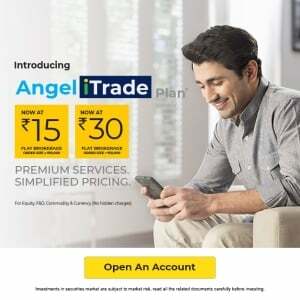 In this article, we are going to give you some necessary information regarding Angel broking charges such as their brokerage charges, account opening charges, transaction transaction, account processing charges and various other charges that set by the government. So, if you are looking for the same information then keep reading. Get a Call back from Angel Broking – Fill up the form now! At Angel broking the account processing charges are Rs. 699 per annum and demat account annula maintenance charges are Rs. 450 respectively. And There will be no charges for trading account opening charges, trading AMC and demat account opening charges. Angel broking transaction charges are levied across different segments such as equity delivery and equity Intraday NSE 0.0031% and BSE 0.0028%. The transaction charges for equity options and currency options are 0.05% on premium and for equity future it will be 0.00180% and for currency future 0.00120% respectively. Angel broking SEBI turnover charges are 0.0002% of total turnover and STT is 0.0126% of total turnover. There are various other charges that set by the government such as stamp duty that lies between 0.002%- 0.004% and it vary from state to state. Additionally, clients have to pay GST charges that are 18% of ( brokerage + transaction charges). The margin funding charges are 18%+ GST. At Angel broking the Clients can easily close their account at zero cost and reactivate it by paying Rs. 50 per segments. The dematerialisation charges are Rs. 40 only.